CarGurus has 2,633 nationwide NX 200t listings starting at $18,985. 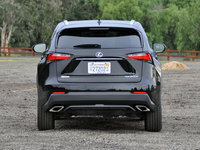 The new Lexus NX draws plenty of looks and comments from current Lexus RX owners, who frequently told me the NX’s futuristic visage makes their own vehicle seem outdated. The 2015 Lexus NX is a daringly styled entrant into the compact luxury crossover field and will appeal to design-conscious consumers. However, its balky powertrain and complicated center-stack controls might turn off some potential buyers. My aunt and uncle were visiting from Korea over the holidays, and they’re looking for a new car to replace their aging BMW. Naturally, given my line of work, he was keenly interested in my test vehicle for the week and wanted to know my opinion of the new 2015 Lexus NX as well as other luxury crossover SUVs. I did not dissuade him from the NX, but I didn’t exactly recommend it, either. 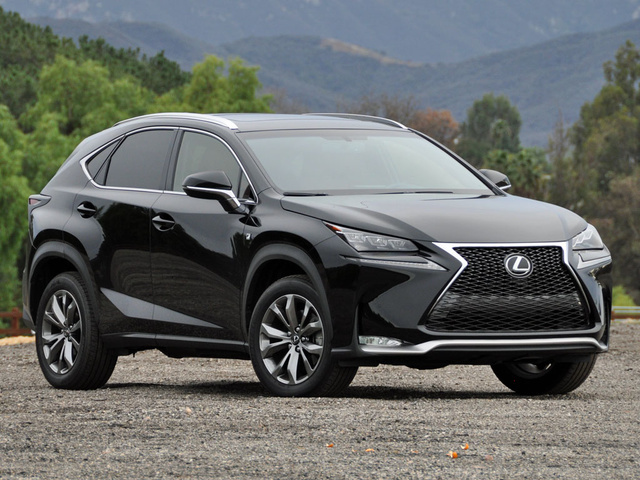 A new entrant into the compact luxury crossover segment, the 2015 Lexus NX may be a great choice for some people, but it's not great enough for me to instantly recommend it over other vehicles in the class. By way of explanation, the Lexus NX is a latecomer to an established vehicle segment, in the same way that Ello is new to social media platforms. Notable enough to generate interest, what remains to be seen is whether or not the new NX can make a sales dent in a luxury crossover SUV landscape littered with examples of upscale, all-weather motoring, from the Acura RDX to the Volvo XC60. That Lexus badge will certainly help the NX gain traction against established competitors. Wild styling, however, may hinder progress as much as it helps. The NX looks different from every other luxury crossover, with a protuberant snout and radical lines that jut out from the body. Seriously, just try to find an obtuse angle on this thing. As a result, the NX possesses plenty of presence, and that speaks to people who like to draw attention. I got plenty of looks and comments, especially from current Lexus RX owners, who told me the NX’s futuristic visage makes their own vehicle seem outdated. Underneath the origami-esque body, the NX is a 5-passenger crossover SUV that shares its basic engineering with the Toyota RAV4. 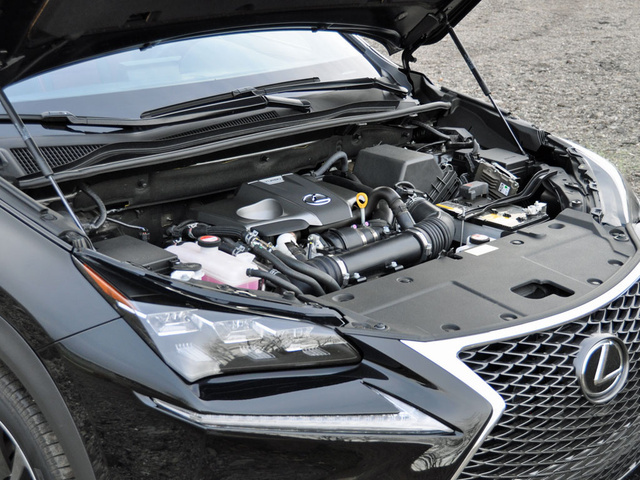 The powertrains are specific to the Lexus, though, with the NX 200t sporting a turbocharged 4-cylinder and the NX 300h equipped with a gas-electric hybrid powertrain cribbed from the ES 300h. 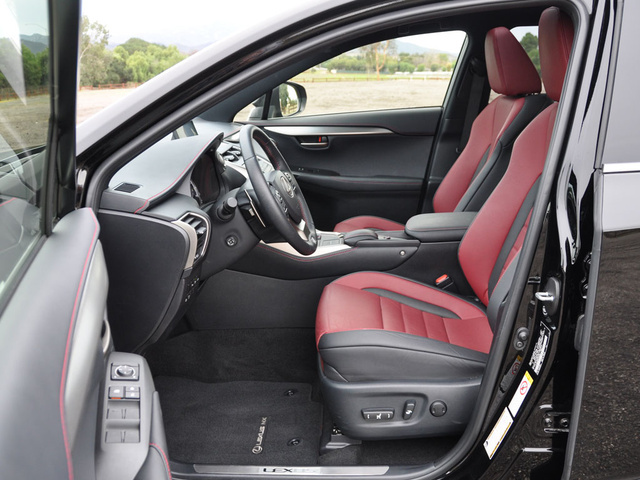 My test vehicle was the NX 200t with all-wheel drive and the racy F Sport Package, dipped in white paint with special Rioja Red NuLuxe leatherette upholstery. The performance-oriented F Sport Package adds unique 18-inch aluminum wheels with upgraded tires, a sport-tuned suspension, revised styling details inside and out, transmission paddle shifters, and performance-oriented gauges. To this, my test vehicle added a Comfort Package with several features that really ought to be standard for a luxury vehicle and a Navigation Package that installed a navigation system, Lexus Enform smartphone connectivity and services, a remote touchpad control, and an upgraded audio system. Total these enhancements up, along with a blind-spot warning system with rear cross-traffic alert, a power sunroof, a heated steering wheel, a carpeted cargo mat, and a few other extras, and the sticker price climbed to just over $44,000. Wondering what that did not include? Heated and ventilated front seats were not on the menu, and neither were leather upholstery, power front seat-cushion extenders, power folding rear seats, a power rear liftgate, front and rear parking sensors, advanced collision-prevention systems, a wireless charging tray for Qi-compatible smartphones, and a handful of additional upgrades. Load the NX 200t up with all the extras, and the price edges close to $50,000. Choose a Lexus NX with the F Sport Package, and you’re going to get a crossover SUV with a firmer ride and a greater connection to the road. If you’re seeking smooth and supple, don’t check that option box. Still, the F Sport version is no Lexus IS when it comes to tackling twisty roads. After all, there’s only so much you can do to combat a crossover SUV’s higher center of gravity, especially if you’re riding on all-season rubber. Instead, the NX 200t F Sport is a machine that makes you anticipate scenic byways with broad, sweeping curves. The tauter suspension does transmit more road feel into the cabin, but it’s rarely jarring or obtrusive. The brakes complement the stiffer underpinnings, proving easy to modulate with progressive response, and the electric steering is tuned to provide a bit of extra heft entirely suited to the NX 200t F Sport’s overall personality. Where this Lexus most disappointed me was in regard to its drivetrain. A turbocharged, direct-injected, 2.0-liter 4-cylinder whips up 235 hp between 4,800 and 5,600 rpm along with 258 lb-ft of torque between 1,650 and 4,000 rpm. That sounds great, right? Unfortunately, it’s attached to a 6-speed automatic that gets somewhat confused at times, especially when asked to kick down a few gears for passing power, and it displayed uneven, wavering acceleration often enough that I couldn’t ignore it. Considering my test vehicle’s paddle shifters and manual shiftgate (offering Eco, Normal, and Sport driving modes), the Dynamic Torque Control all-wheel-drive system, and what Lexus calls G-force artificial intelligence, perhaps the confusion is to be expected. All I can tell you is that when a hole opens in traffic, the driver steps on the accelerator and expects speedy response no matter what settings are selected. Frequently, the NX 200t fails to deliver. The NX 200t performed well in terms of fuel economy. Considering the amount of time I spent driving in city environments and dipping into the engine’s broad power curve, I’m happy with a 22.3-mpg test average, which comes up acceptably short of the EPA’s 24-mpg estimate in combined driving. Stepping into the Lexus NX’s cabin is like ducking into a Restoration Hardware store, thanks to metallic accents and premium materials rendered by a trained eye. 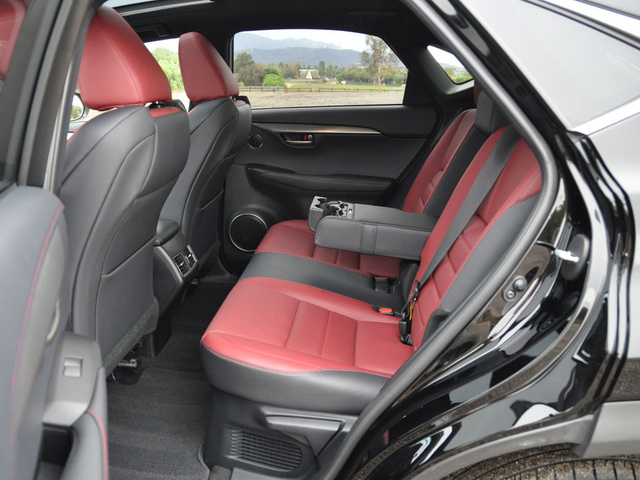 My F Sport test vehicle’s seats were robed in Rioja Red NuLuxe material that does a very convincing job of simulating soft leather, and most of the surfaces that you can see and touch both look and feel good. The dashboard is cleanly laid out with even frivolous items like the F Sport model’s G-force meter adding to the ambiance. Lexus makes most of the NX’s controls easy to find and use, with one notable exception: the new Remote Touchpad interface that's included in the Navigation Package. Seeing as how it’s the main control for the infotainment system, its balky action, frequently counter-intuitive operations, and steep learning curve make it all the more frustrating, and distracting, to use. Literally, I had to duck into the driver’s seat, as the steeply raked windshield pillars create a bit of an obstacle. Once situated behind the attractive heated steering wheel, I found the NX 200t F Sport’s more robustly bolstered seats a model of comfort. Visibility is excellent, with front quarter glass helping to create an expansive view forward. Rear-seat riders were happier than the NX’s tidy exterior dimensions might suggest. Although seating 3 people abreast might be pushing your luck, 2 passengers should be happy with this crossover’s generous foot and knee room as well as the seat’s reclining function. 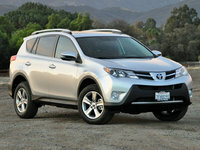 Because the NX is a crossover, cargo capacity must be discussed, but the numbers are grim. With the rear seats in use, 17.7 cubic feet of space are available, barely more than what fits into the trunk of a midsize sedan and far less than most competitors offer. With the rear seats folded down, the NX supplies 54.6 cubic feet of space, which still falls short of other entry-luxury crossover SUVs. Lexus considers each of its new cars a rolling showcase of its latest technology, and the NX is no exception. Alas, most of what’s impressive is optional, driving the price rapidly skyward. My test car included the Navigation Package, which adds a number of Lexus Enform services as well as enhanced Bluetooth, advanced voice-command technology, a navigation system, and the aforementioned Remote Touchpad source of aggravation. A Qi-compatible wireless charging tray is also available and works with certain devices to charge them without attaching a cord to a USB port. The advanced voice-command system lets you control climate, audio, and navigation functions with casual speech. For example, if you say, “It’s too hot in here,” the climate control system will automatically lower the temperature by 4 degrees. Among the Lexus Enform services, a remote mobile app allows the NX’s owner to start the engine, lock and unlock the doors, check the status of the doors and windows as well as the fuel level, and help an owner locate the vehicle in a crowded parking lot, all from your smartphone. You can also receive alerts if a preset speed or mileage limit is exceeded, which is great when you’ve got teenage drivers in the house. 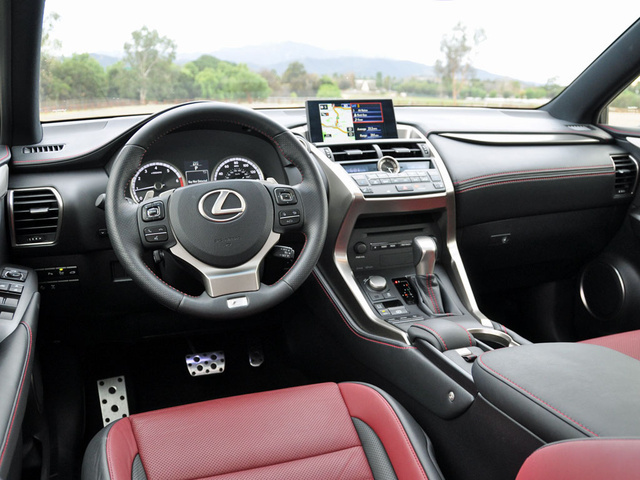 Lexus Enform also provides Destination Assist service, which connects you to a live agent who can give you directions, while App Suite technology delivers access to Facebook, Internet radio, and more. Unfortunately, operating some of these features requires the use of a rather complicated interface. Have I mentioned how much I dislike the new Remote Touchpad? It bears repeating again; this feature is a rare Lexus fail. Unlike with the previous Lexus Remote Touch Interface (RTI), which mimics a computer mouse in terms of operation, the Remote Touchpad requires the driver to look at the in-dash screen and correspond what is seen there with how he or she is moving a fingertip on the touchpad. This requires concentration and accuracy, making it dangerous to use while driving. Personally, I much preferred the old RTI setup. Lexus offers a number of safety-related features for the NX, but as is true of the vehicle’s infotainment technologies, most of them are optional. Lexus does arm every version of the NX with a rear-view camera, but everything else costs extra. 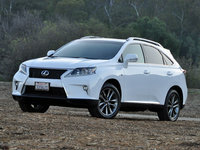 The upgrades include Lexus Enform Safety Connect, which automatically alerts authorities if the SUV is involved in a collision. A blind-spot monitoring system with rear cross-traffic alert is available, as are a lane-departure warning system, a pre-collision system with autonomous braking, parking-assist sensors, and rain-sensing wipers. If a collision proves unavoidable, know that the Insurance Institute for Highway Safety (IIHS) deems the Lexus NX a Top Safety Pick. Because most of what makes the Lexus NX a luxury vehicle in more than just name costs extra, we’ve shaved a few points off this crossover SUV’s cost-effectiveness rating. The NX 200t’s premium fuel requirement costs this Lexus another point, as does the premium commanded by the NX 300h model’s hybrid powertrain. Low gas prices mean it's hard to justify purchasing the hybrid version. Beyond these factors, though, the Lexus NX makes a strong case for purchase. Generally speaking, Lexus models have proven quite reliable, and the NX earns a favorable depreciation rating, indicating that it should hold its value over time, a trait that also translates to lower lease payments. 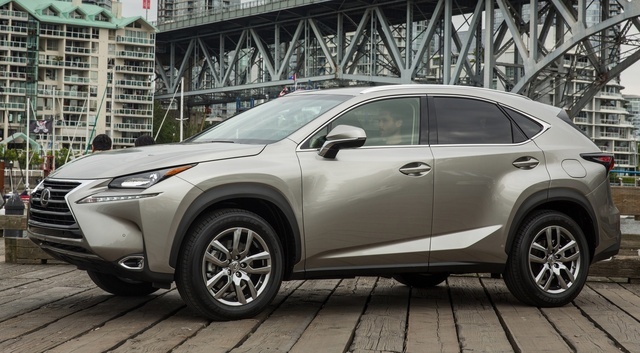 Warranty coverage (not that you’ll need it) is fairly generous, too, and the NX comes with free roadside assistance for the first few years of ownership. Does this mean the NX is a good value? The indicators point in that direction, but because its styling represents an acquired taste, we’re going to qualify the equation to some degree. 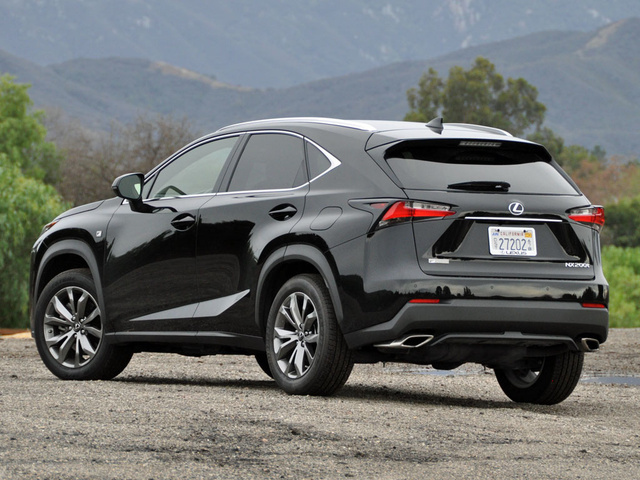 What's your take on the 2015 Lexus NX 200t? sandy1971 The monitor for the Nav system is now at least 8" further away from the driver and the size is a couple of inches smaller, too. Those with great vision will have no problem but I found the screen to be too small and too far away vs. earlier models. Users ranked 2015 Lexus NX 200t against other cars which they drove/owned. Each ranking was based on 9 categories. Here is the summary of top rankings. 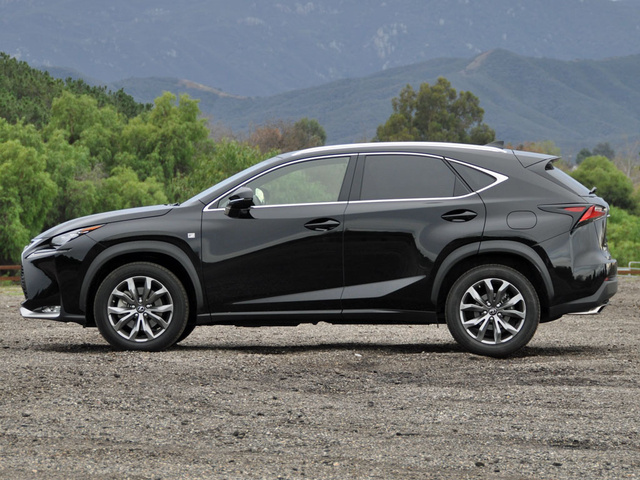 Have you driven a 2015 Lexus NX 200t?